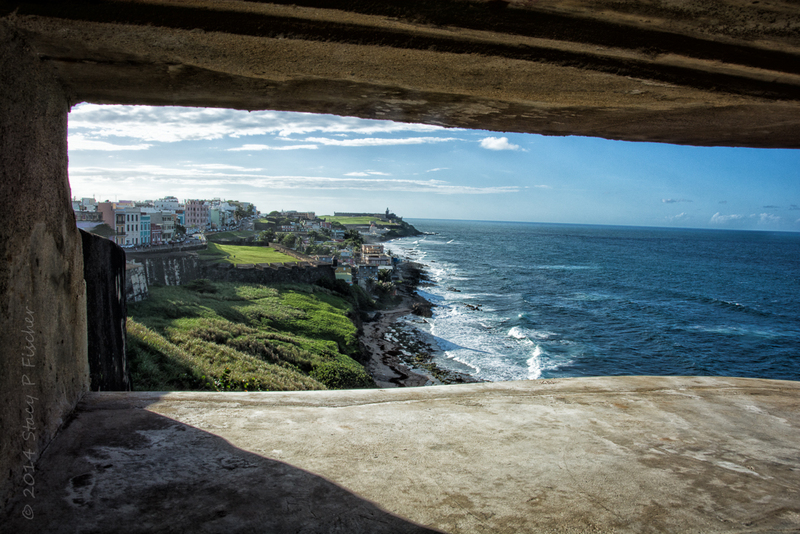 Two shadowed photos from Castillo de San Cristóbal, a Spanish fortress dating from 1634, in San Juan, Puerto Rico. 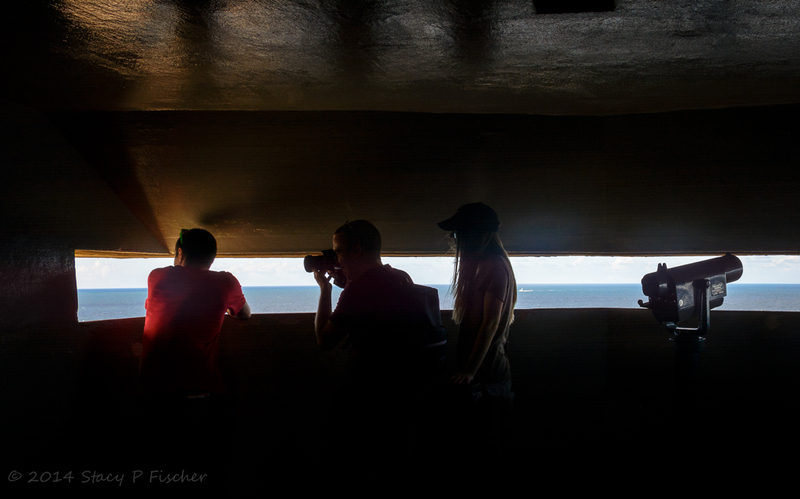 While my family explored this artillery observation post built during World War II, I wanted to capture the sidelight coming in through the window. The view? In the distance overlooking the entrance to San Juan Bay is Castillo San Felipe del Morro (El Morro). It is one of the largest fortifications built by Spain in the Caribbean. From this vantage point, US forces could observe the potential threat of German submarines submerged in the Atlantic waters. This entry was posted in Photo Challenges, Puerto Rico and tagged low-light, negative space, photography, postaday, shadowed, weekly photo challenge. Bookmark the permalink. What a view through the window … one that you could stare at for hours ! I love your shadowed photos! Excellent! You’re welcome Stacy 🙂 Glad you had fun with him! Yes I love that view through the window as well. The composition really makes the colours pop. Stunning! A room with a view 🙂 Thanks, Desley! Wow…just gorgeous. That blue water, and I love the window view. Thanks, Mary 🙂 It was a gorgeous day made all the better with the spectacular views of the beautiful Atlantic!